For the past 5 years we’ve raised money for charity for Sarah’s birthday, this year we thought we’d raise money for Breast Cancer Care. Breast Cancer Care are the only specialist UK-wide charity providing support for anyone affected by breast cancer. people affected by breast cancer alongside our clinical expertise. up plans for how we should work in the coming decade. even more people affected by breast cancer. 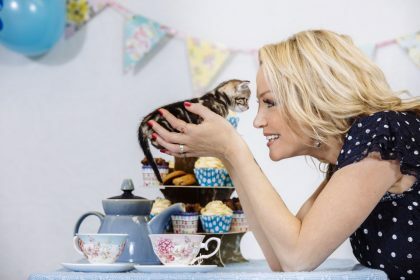 Sarah Harding came face to face with homeless kittens and cats as she teamed up with Blue Cross to launch the national pet charity’s Paws for Tea campaign. 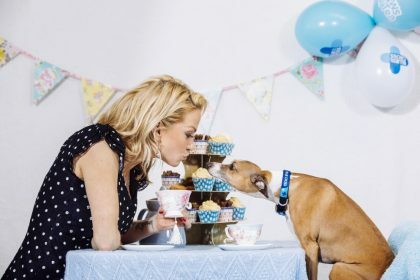 The Girls Aloud singer is calling on animal lovers everywhere to host a tea party with friends and family in aid of Blue Cross after visiting the charity’s rehoming centre in Lewknor, Oxfordshire. This year Blue Cross is aiming to raise £70,000 with its Paws for Tea campaign which calls on people to host tea parties in their homes or offices. All money raised from the campaign will support the tens of thousands of sick, injured and abandoned dogs, cats, small animals and horses Blue Cross helps every year through its rehoming centres and animal hospitals across the country. 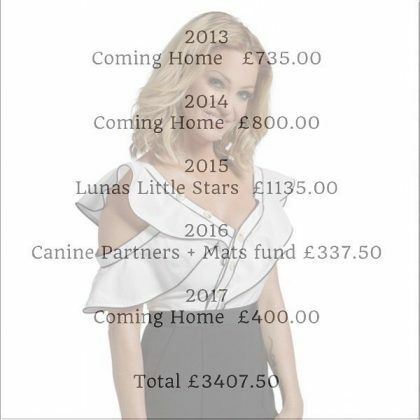 The Celebrity Big Brother 2017 winner also met Italian greyhound Gino who was rehomed by Blue Cross in 2015. The five year old regularly returns to the rehoming centre to act as an ambassador dog – a role which sees him provide canine support to other dogs who may be nervous in their new surroundings or unsure of being around other dogs. “It’s so simple – just get together with your friends or family over a nice brew and a slice of something tasty. You’ll not only have a lovely time, but the money you raise will help Blue Cross change the lives of pets all over the country. Go on, pop the kettle on for these wonderful pets! Sarah attended the OK Magazines 25 anniversary party last night in London. Sarah over the weekend tweeted her support for her childhood friend who has metastatic breast cancer in the lungs, she encouraged people to donate, if you want to donate you can on the link below. I’m supporting @crowdfunderuk http://www.crowdfunder.co.uk/help-for-a-friend-in-need/ … @HelpOurFriend1 Friends since college 😥 #f**k #cancer #cancerpreventionmonth Everybody at some point in thier life is touched or lost somebody they love to this demon..it’s time for us to fight back!! … just a pound from those who can relate and want to help raise awareness and make way for a wider spread re evaluation regarding the ridiculous costs for those in dire need who can’t afford life saving treatments,but also more conscientious approaches to the many alternative..
…therapies and holistic approaches which have in many cases proven successful, we need to keep campaigning and hard…. (granted I could list many selfless and amazing charities that campaign and support millions of cases everyday and give up their own precious time to help; which I admire so much❤…everybody deserves a right to equality and life, so please…. ….not just for my own personal reasons, but all souls worldwide, u never know when/where or who it may strike next; even us one day 😔….so with all this in mind peeps, let’s stand united please! …in a world full of war, poverty, hunger and destruction…. 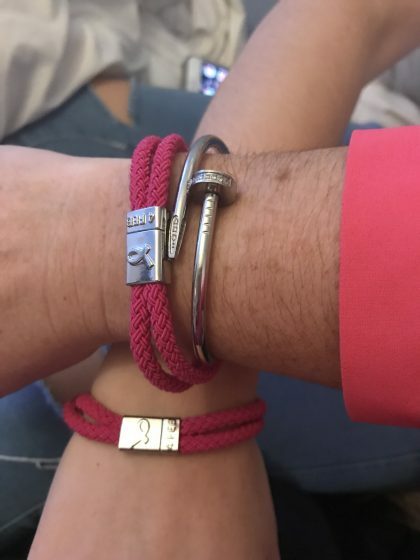 Sarah last night tweeted her support for World Cancer Day, wearing the Breast Cancer Care awareness unity band. As some of you will be aware my girlfriend Claire was diagnosed with Breast Cancer in January and this meant the world to us both, so thank you Sarah. Sarah attended the NTA awards in London on the 23rd Jan 2018, she looked stunning. Sarah attended the OK Beauty awards last night in London, she looked gorgeous as always. Sarah’s episode of Living With Lucy was shown last night, we’ve ripped and uploaded it to Youtube for people who don’t live in Ireland and couldn’t watch it, enjoy guys. Back in September Sarah was filing with Lucy Kennedy for her TV show Living With Lucy. Sarah episodes airs 14th November 2017, sadly its shown in Ireland on TV3, we will see if you can watch it online though and let you guys know, Irish tv is tricvky some shows you can watch online in the UK and others you can’t.